There has been plenty of hype about electric cars in recent years, but not everyone is getting carried away. 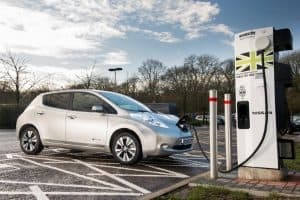 A study by Confused.com has revealed a number of problems faced by drivers who are keen on the idea of getting an electric car – until they realise how much it costs. It revealed 59 per cent of drivers are put off by the hefty price tags on electric vehicles, not least the fact that they cost as much as £370 more a year to insure. The Tesla Model S hatchback costs an eye-watering £127,000, but even the ‘cheaper’ models cost a hefty sum, such as Renault’s £20,670 Zoe. A plug-in car grant may help produce some savings, but only 37 per cent of owners of electric cars or hybrids who have received such grants have been able to cut their driving costs in 2018. This means that while the report found electric cars are cheaper to run, the overall costs are much higher than those for petrol or diesel cars. If the higher costs were not problem enough, delays to the government’s £400 million EV infrastructure plan mean charging points are still scarce. Indeed, 73 per cent of drivers were discouraged from owning an electric car by this. After all, nothing can be worse than running out of power without a charging point nearby. Currently, there are 16,130 connectors in 5,602 places around the UK. All this is definitely a good reason to think twice about buying an electric car for at least the next few years. The report advises that people should ideally hold off until 2023. The message appears to have already got through to drivers. While 31 per cent of those surveyed for the report said they would like an electric car, only two per cent of new car registrations were electrics.